Hello, I am Gemma McKimmie and I specialise in Property Conveyancing matters. If you are buying or selling a property then expert legal advice is a must. When you buy or sell a property there is a rigid process that is applied by both parties. Here you can find an overview of the legal process to help you understand what we do. 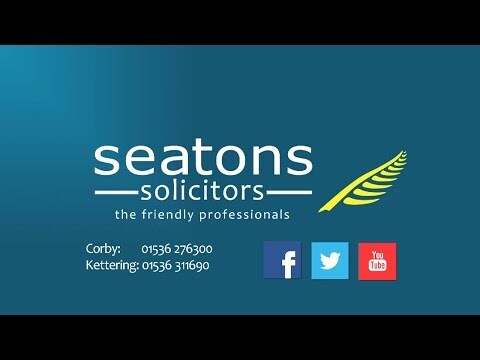 Contact our Corby office on 01536 276300 or our Kettering office on 01536 311690 or click here to contact us online to discuss buying or selling a property. What Happens When A Deal Has Been Verbally Agreed? Once a verbal agreement has been reached for the conveyancing it is important that the buyer and seller give their solicitor full details of the terms immediately. The seller will need to give his solicitor the title deeds or details of the name and account number if held on mortgage by a building society or a bank. Once a sale is verbally agreed for the conveyancing it becomes subject to contract. Conveyancing agreements must be in writing for it to be binding. That means that the verbal agreement is not binding until the parties “exchange written contracts”. The seller’s solicitor prepares a contract from the deeds and obtains up to date information about the property from the seller to go with the contract, such as alterations, extensions and improvements and copies of planning consents. The seller will also need to complete a list of fixtures and fittings included in the price, which becomes part of the conveyancing contract. A separate price can be agreed for additional items such as curtains, carpets etc. The seller’s solicitor then sends the conveyancing contract with all other documents to the buyer’s solicitor for approval. Once he receives the conveyancing contract the buyer’s solicitor will examine all the papers in detail and will need to make additional enquiries by way of local searches raised with the local authority and water board as well as environmental agencies. These searches ask questions relating to the property and surrounding area concerning road schemes, planning matters, drainage etc. If in a former mining area a mining search will also need to be made. Fees vary from council to council. If you apply for a mortgage, the lender will arrange a survey of the property but note that this is only a basic valuation not a structural survey. Please consider having a full survey carried out, particularly if an older property. In fact many lenders will not supply you with a copy of their valuation report. In law the seller does not have to give any guarantees, and the buyer purchases as seen, so you must be completely satisfied before committing to a conveyancing contract. We strongly advise anyone paying cash for a property to have a full survey carried out. The lenders survey may advise you to have specialist’s reports for timber, damp, or electrics and we urge you to arrange for these to be done. If a report finds work needs to be done it may be possible to negotiate a reduction with the seller or for the seller to carry out the work prior to completion of the conveyancing. Whilst it may be tempting to try to do your own conveyancing without using a solicitor, the lender will insist on a solicitor or a licensed conveyancer checking the title to the property. You will be charged for this. If you have your own solicitor completing the conveyancing, he or she will usually be able to advise you and the lender so it is worth instructing a lawyer. The lawyer’s fees for acting for you and the lender will not be very much higher, a house is the most expensive thing you will ever buy and it is clearly worth taking as much professional advice as you can get. Once the buyers solicitors receive the contract papers these are reviewed in full and it may be necessary for enquiries to be raised regarding the deeds or property itself. Once the buyer’s solicitor has the draft contract, replies to enquiries, results of the searches, and the buyers mortgage offer, he will advise the buyer on these matters in detail by way of a reporting letter and arrange for the buyer to sign all documentation. The buyer will need to make arrangements to give his solicitor the deposit he is putting down. The buyer pays the deposit to his solicitor who will pass this onto the seller’s solicitor on exchange of contracts. This is usually 5% or 10% of the purchase price. If the seller is also buying a property it will be agreed that this deposit can be used on his purchase. Until now in the conveyancing process nothing is legally binding and the seller can still sell his property to someone else or change the terms of any verbal agreement made with the buyers. You may be involved in a long chain of conveyancing and if one party pulls out the whole chain could fall apart. Both sides only become legally bound once contracts are exchanged. The buyer, if completely happy with everything, will sign his copy of the conveyancing contract, give his solicitor his deposit and suggest a date for the legal completion, “The Completion Date”. The sellers solicitor will get the seller to sign his copy of the conveyancing contract and see if the seller can agree to the suggested “Completion Date”. If there is a chain, all the parties have to agree to the same date. Once this has all been done the seller’s and buyer’s solicitors date and exchange contracts, pass the deposit, and the date for completion is fixed. The seller’s solicitor prepares a conveyancing statement showing all the financial details of the sale for the seller. The buyers solicitor will request the advance monies from the lender, carry out final Land Registry searches and collect from the buyer any monies needed to complete. The buyer’s solicitor transfers the balance of the purchase money for the conveyancing to the seller’s solicitor on the day of completion. Only when the seller’s solicitor receives the money he will authorise the release of the keys to the property to the buyer (usually via the estate agents), and forward the title deeds to the property to the buyer’s solicitor. If you are in a long chain it could be early afternoon before the money is passed all the way along the conveyancing chain, and this can cause delays in the releasing of the keys. If purchasing from a builder they will not release keys until the money has been transferred into their bank. The seller’s solicitor will discharge the seller’s mortgage from the sale monies, pay estate agents and then account to the seller for the balance due or pay into a bank account if wished. The buyers solicitor will submit the details of the Stamp Duty to HMRC, send the transfer deed for stamping and pay any stamp duty if over £125,000, date the mortgage deed and send for registration at H.M. Land Registry. When registration has been completed your solicitor will send copies of the deeds to you. Most of the conveyancing procedures set about above are the same for flats and leaseholds. However they will be more complicated as the lease must cover things as insurance, cleaning, maintenance, ground rent, service charges and, in some cases, a separate contract with the freeholder (landlord) about complying with the terms of the lease. All this additional information means the transaction can take longer than purchasing a freehold property. I’m Gemma McKimmie, head of the Conveyancing department at Seatons in Corby. We aim to provide our clients with an outstanding legal service. Please contact us for a free, no obligation chat at our Corby office on 01536 276300 or use our online enquiry form to discuss buying or selling a property. A failure to take legal advice cost a property buyer his £35,000 deposit as he fell foul of the time limits for the purchase. Purchasing property at auction can be legally hazardous as the following case shows. Are You Thinking Of Buying a Holiday Home Abroad? When buying holiday homes abroad, it is absolutely vital to employ solicitors who are entirely independent of the vendors. The steady rise in property prices as well as the imposition of strict mortgage lending requirements has meant that getting on the property market is tougher than ever before.